There isn’t any other event that will deploy 1600 wireless access points covering 2.4 million square feet. 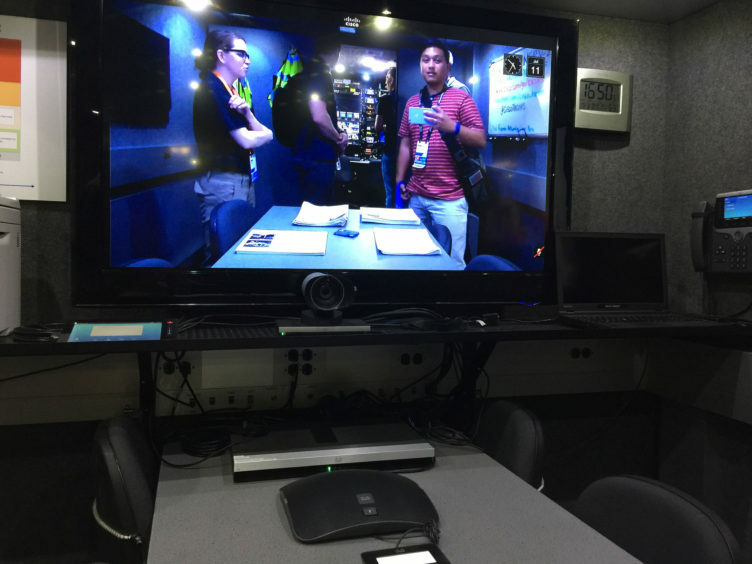 That is double the amount of square footage covered from San Diego Cisco Live in 2015. And with over 32,000 unique clients served on this network, it isn’t a network to take lightly. WiFi went far and wide. The 1600 access points installed were the Cisco 3702E each with a patch antenna (air-ant2566d4m-r). 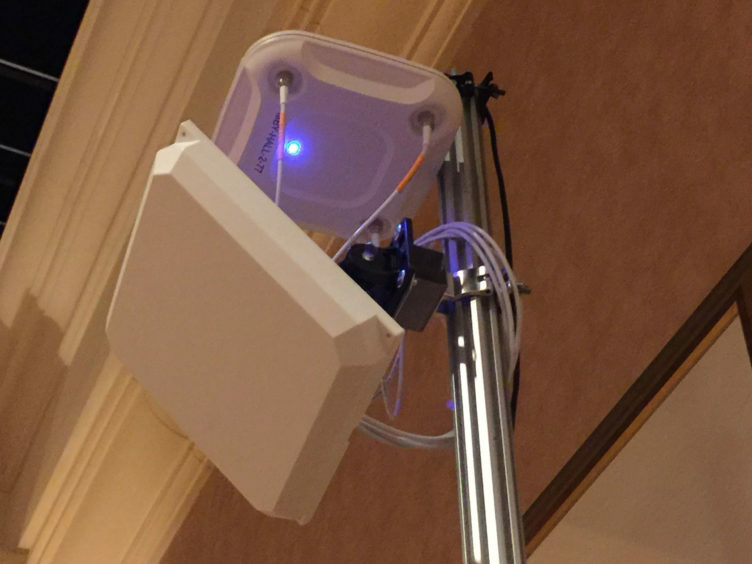 In the hallways, many of these access points and antennas are mounted on masts directed towards the middle where everyone walks to each session. I was actually surprised with the amount deployed. I’d be curious as to what the design looked like, how RRM worked in the environment, and how well roaming performed. Each of the large session halls had many access points, and rightfully so. With people like me tweeting out the power points including screenshots, it was easy to push out lots of data. I didn’t really see any issues with WiFi at Cisco Live. With that many access points and other network equipment, a total of 45 miles of network cable was laid out. Many of that cabling attached to 614 network switches. 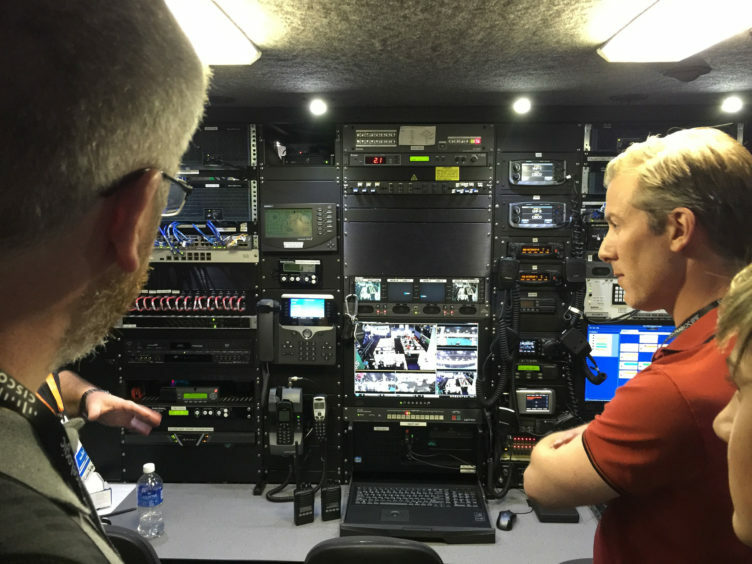 That’s an increase from 375 switches at Cisco Live 2015 in San Diego. 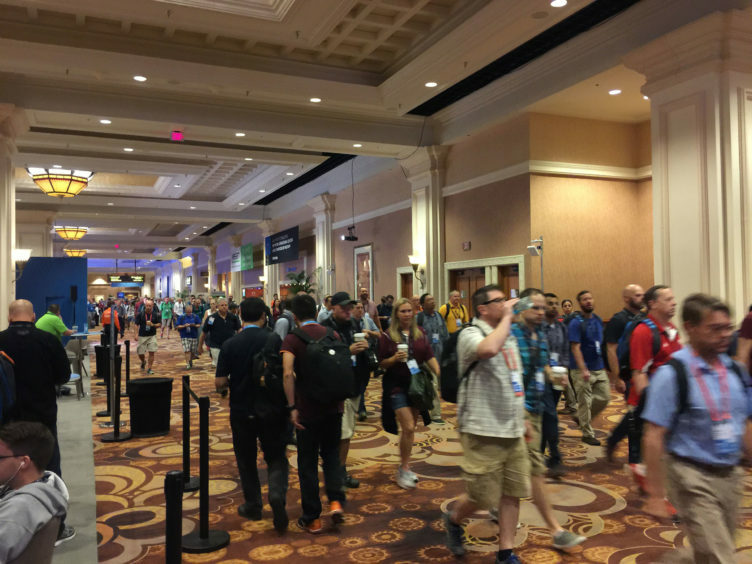 Attendees of Cisco Live 2016 used a total of 40 TB of traffic. 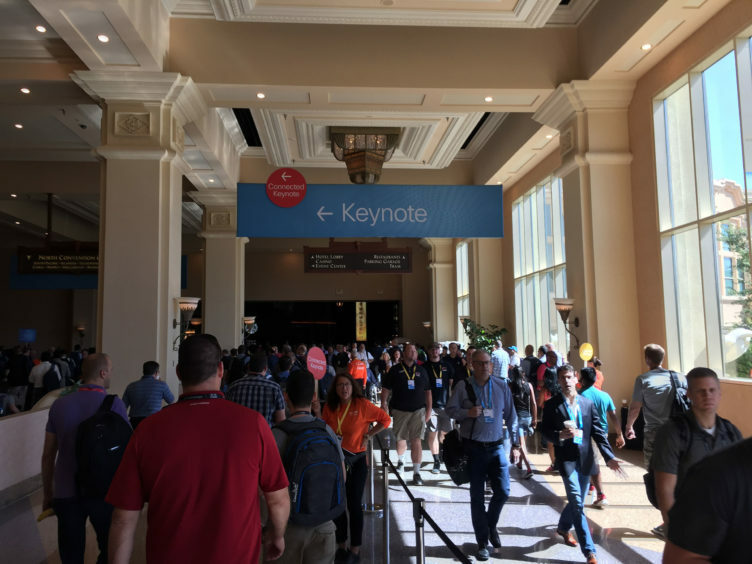 Mandalay Bay was home to Cisco Live 2016 and with over 28,000 attendees, it was packed with not just a lot of people nerding out but also full of information. An overwhelming amount of information but in a good way. Temperatures went up to as high as 110F but as long as you stayed indoors you were safe. My accommodations were at the Cosmopolitan Hotel and it did not disappoint. Getting to and from the conference required a shuttle. 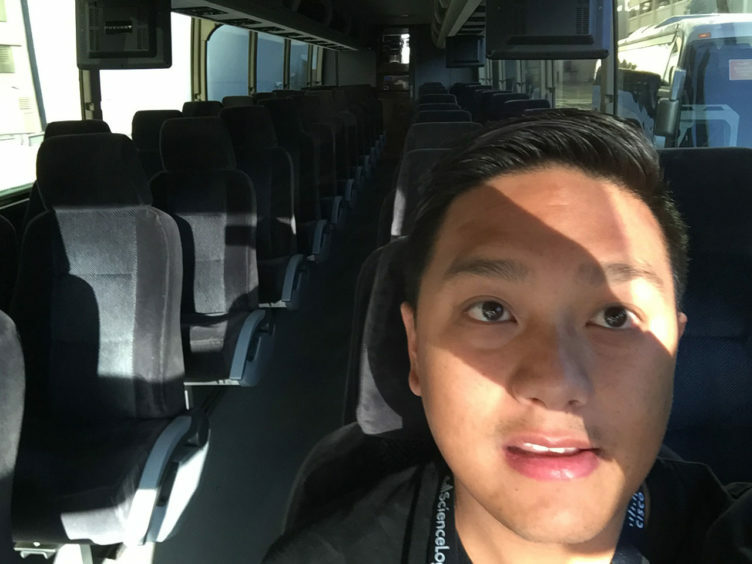 Hey a shuttle all to myself! One thing I underestimated, besides the amount of sessions available, was the amount of swag you’ll acquire from touring the World of Solutions. I left with about two full bags of goodies including enough shirts to last me a week of outfits. Jerome Henry discusses real time applications of voice, video, and interactive video on wifi. We strive to build a network that is self aware, self-optimizing, and self-defending but we still need people to design wifi. Before building, determine how much bandwidth is needed for each application then multiply that number by the number of users of the application in the cell and that is the bandwidth needed at the edge of the cell. Keep channel utilization under 50% in a cell. I’ve had to do a similar task for an interactive application but I’ve gone over the 50% channel utilization. Numbers come from Cisco’s labs. 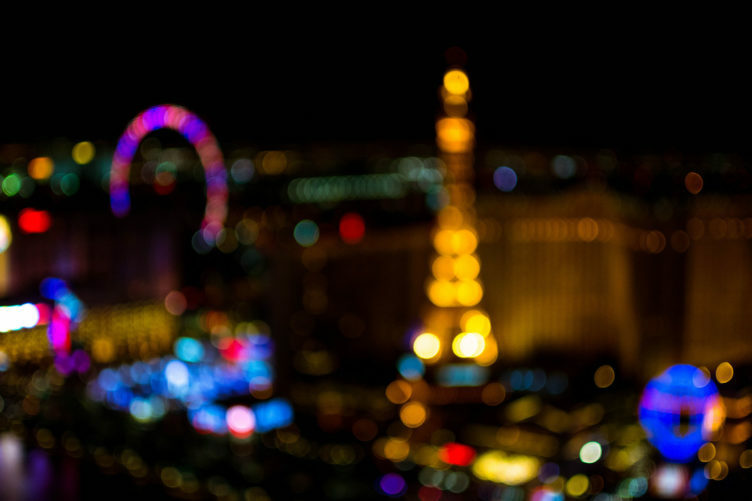 For voip, keep retries under 20%, If higher than that then you must investigate why. I even consider 15% kind of high. Jitter should be under 100 ms and packet error rate under 1%. Other points Jerome mentions are to aim for RSSI of greater than -67dBm, greater than 25 dBm SNR and again, under 50% channel utilization. In regards to power matching with clients, Jerome recommended setting the AP power to half of your worst client max power and design for 5 GHz. If my notes are correct, it’s different from what we’ve heard from others by matching the AP power to the worst client’s max power. This could be because clients do not always transmit at high power. This also avoids the power mismatch where AP power may be set much higher than the client. The client could falsely believe the AP is closer than it really is because of the APs high transmit power. That power mismatch could make the client transmit at a higher data rate when it should be using a lower data rate. What’s a good minimum data rate to enable? Faster data rates will need strong signal at the receiver end to properly decode. Fred went over antenna design and radiation patterns which is very important for wifi engineers. Selecting the right antenna can lead to better designs. Basic overview of multipath and then into multi-user multipath. Simplistic overview of Cisco’s Beamforming technology called Client-Link which I’d like to dive into further on a future episode. Going into 802.11n and it’s specific elements such as MIMO vs SISO, MRC – maximal ratio combining (combining received signals from multiple antennas), spatial streams (multiple transmitted signals) and the number of transmitters and receivers. Using 802.11n as a foundation, Fred moved onto 802.11ac which is 5 GHz only. 802.11ac Wave 2 introduced MU-MIMO, up to 160 MHz channels, up to 4 spatial streams. Talking about faster transmissions. But of course higher data rates need larger channel widths which are problematic in channel assignment. There are requirements to be met to take full advantage of 802.11ac. Steven had a great analogy for modulation which involves a really well known professional darter. If you replace the dart board with a 256-QAM constellation map, its like trying to hit bulls eye every single time. He mixed his presentation with technical data and humor which made it a very good stand up performance. Kept a large crowd very interested and I hope they all learned that they should not be using channel 4! Not properly setting channels such as using overlapping channels. Not properly placing APs – He went all BadFi on us. This session was heavy with command line options so I won’t bore you with reading them in for the audio podcast. I just highly recommend viewing this session online. It’s BRKEWN-3000. Jerome goes over a lot of useful commands that can be used on both a WLC and AP for debugging and analyzing client issues. This is Jerome’s most passionate subjects. He is constantly doing packet captures wherever he is and then he uses Excel to analyze the data. It’s quite impressive. One session I was really looking forward to was Improve Enterprise WLAN Spectrum Quality using Cisco Advanced RF Features. My session on the last day was canceled so unfortunately all I have are the slides. Jim Florwick is the presenter and he is truly an expert in RRM. He’s great to speak to if you ever get a chance. Part of troubleshooting is to remain calm and do not jump to conclusions. First thing is first. Identify what the problem is and work methodically. On a wireless controller, find out what the client state is. You should be familiar with the 802.11 connection process to help identify what state it is in. The wireless controller calls this the Policy Manager State. The Policy Manager State provides things such as WEBAUTH REQ or it needs DHCP or needs to complete 802.1X among other things. Tim goes through all these steps to help determine what’s wrong using examples. In the examples he displays numerous debugs. It’s good to know that someone knows what all of this means! Overall it was a very good presentation diving into Cisco wireless LAN controllers and debugging. A great experience I encountered was going up to the VIP suites to watch the opening Keynote as being part of the Cisco Champion program. To have a comfortable seat around other smart individuals made the experience enjoyable, especially after seeing Chuck Robbins speak for the first time. Went up to the VIP suites as part of the Cisco Champion program. 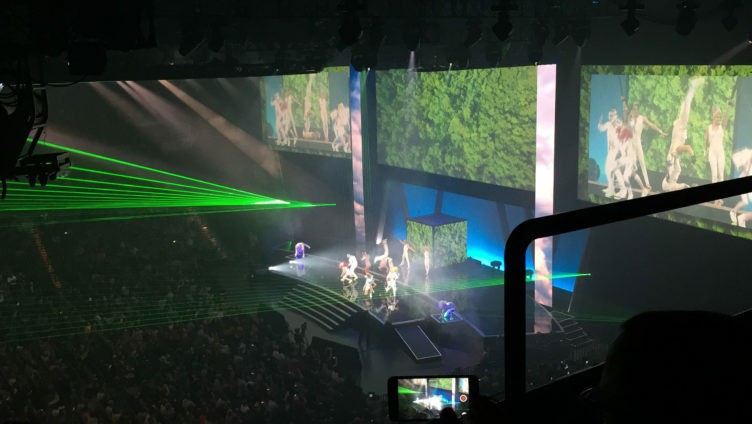 Great seats and views of the welcome keynote in Mandalay Bay. The introduction was like watching a concert. 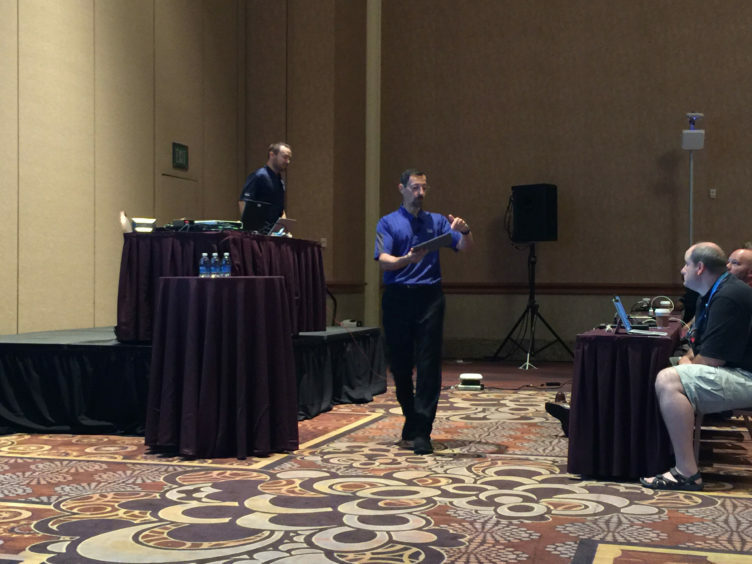 Chuck Robbins – his first Cisco Live Keynote since becoming CEO of Cisco. 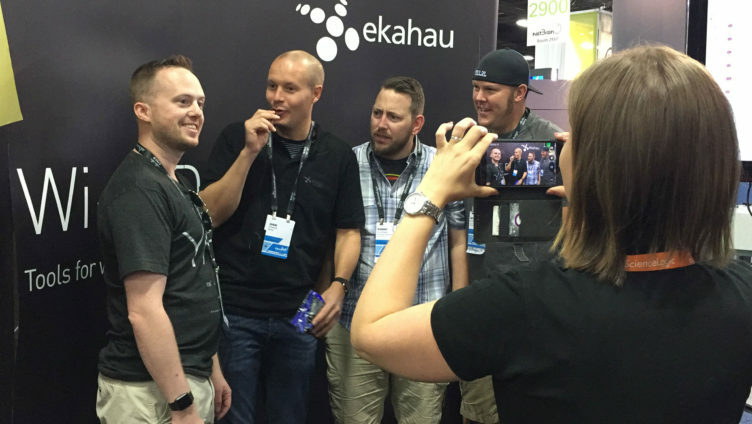 When scheduling my sessions I had almost forgotten to schedule a Meet The Engineer session. I’ve heard a lot about these and jumped onto the opportunity to speak with Matt Swartz about RRM. I was surprised to see that Jim Florwick was also in the same room. To hear them both talk about the war stories of designing wireless networks in high density and to find out some useful tips and tools surely made it a highly valuable conversation. Robert Boardman was also present alongside me and I could tell he was in awe with that session. Am I right Robert? It was fun hearing Matt Swartz and Jim Florwick talk about their RRM war stories and in the end they provided us with a nifty tool that some of you may know which is the Cisco Wireless LAN Controller Config Analyzer. This is something I look forward to writing about soon. As informational as the sessions are, and how the meetings with existing vendors play out, all the way down to walking the World of Solutions.. there isn’t anything like meeting the people I speak to every day on social media. Primarily I want to give a big thanks to Robert Boardman, Mitch Dickey, Brennan Martin, Scott McDermott, Jerry Olla, Jussi Kiviniemi, and John Regal. I have met some of you in previous conferences and the rest I met for the first time. Talking to my fellow industry experts brings out some of the best conversations over beer and food. That’s where all the money is at. 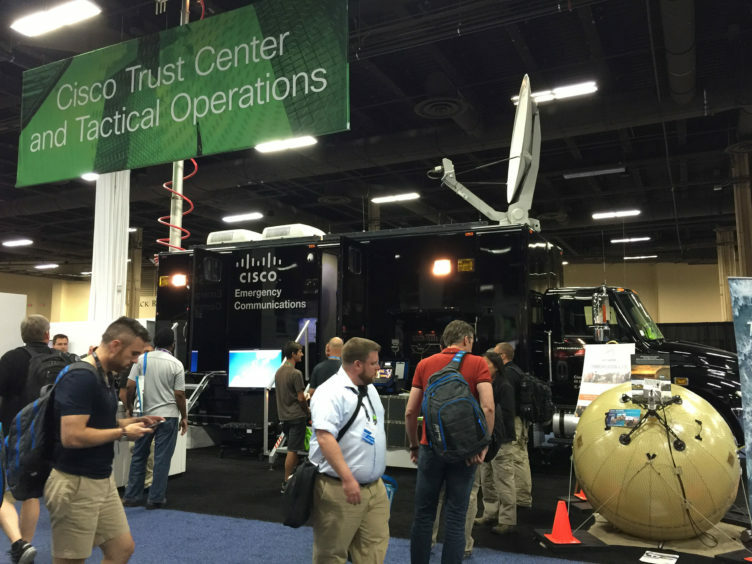 If you couldn’t tell by my positive blog post about Cisco Live, I really enjoyed it. Next year I plan on going back, making more connections, and getting more out of it. 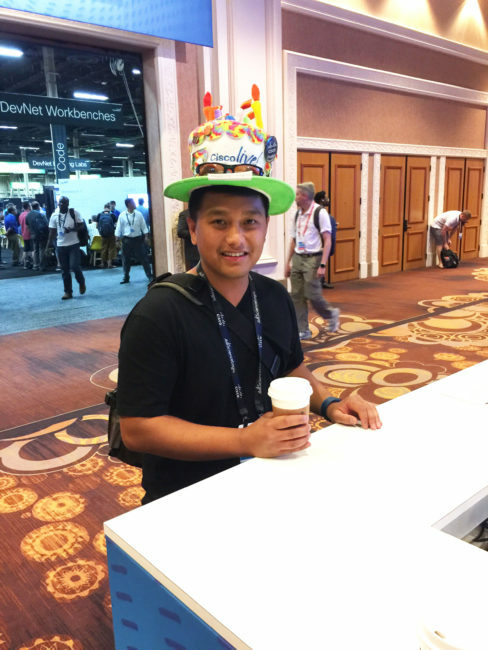 Cisco Live is more than a conference. It’s about the community and the experiences we create together. It’s a foolish, funny, smart, and wonderful crowd. Cheers. Enjoy a couple more photos. Look! Lots of knobs and buttons!